CARACAS, Jul 11 2016 (IPS) - Latin America’s teenage girls are a crucial force for change and for promoting sustainable development, if the region invests in their rights and the correction of unequal opportunities, according to Luiza Carvalho, the regional head of UN Women. 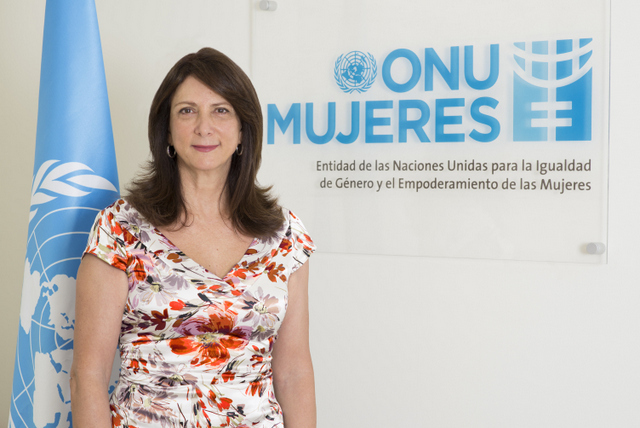 “An empowered adolescent will know her rights and will stand up for them; she has tools for success and is a driving froce for positive change in her community,” Carvalho told IPS in an interview from the regional headquarters of UN Women in Panama City. Adolescent girls and boys will have a leading role in their societies when the Agenda 2030 for Sustainable Development has been completed, she said. One of the Sustainable Development Goals (SDG) is gender equality. Investing in today’s girls will have “a great transformative impact in future,” she said. “Investing in education and protection against violence are important tools for fulfilling the potential of teenage girls and young women,as wellas for promoting gender equality” -- Luiza Carvalho. The world today has a higher proportion of its population aged between 10 and 24 years old than ever before, with 1.8 billion young people out of a total population of 7.3 billion. Roughly 20 percent of this age group live in LatinAmerica and the Caribbean, Carvalho said. According to data given to IPS by the regional office of the United Nations Population Fund (UNFPA), 57million of the region’s 634 million people are girls aged between 10 and 19, living mainly in cities. The theme for this year’s World Population Day, celebrated July 11, is “Investing in Teenage Girls”, on the premise that transforming their present situation to guarantee their right to equality will not only eliminate barriers to their individual potential but will also be decisive for the sustainable development of their countries. Women Deliver, an international organisation, has calculated the benefits of this investment in financial terms. For every additional 10 percent of girls in school, national GDP rises by an average of three percent; for every extra year of primary schooling a girl has completed, her expected salary as an adult grows by between 10 and 20 percent. That is why “investing in education and protection against violence are important tools for fulfilling the potential of teenage girls and young women,as well as for promoting gender equality,” she said. “It is a form of violence that denies them their childhood, interrupts their education, limits their social development, curtails their opportunities, exposes them to the risk of premature pregnancy at too young an age, or unwanted pregnancy and its possible complications, and increases their risk of contracting sexually transmitted infections, including HIV (human immuno-deficiency virus),” she said. It also increases the girls’ exposure to “becoming victims of violence and abuse,” Carvalho said. In Carvalho’s view it is very positive that all the countries inthe region have established minimum ages for marriage in their laws, but on the other hand, the laws fix different minimum ages for boys and for girls, and in certain cases such as pregnancy or motherhood, girls may legally marry before they reach the minimum age. 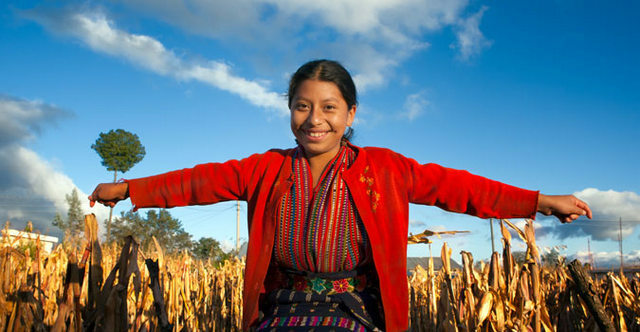 In Latin America, far from diminishing, teenage pregnancies have increased in recent years, due to cultural acceptance of early sexual initiation. As a result, the region ranks second in the world for adolescent birth rates, with an average of 76 live births per 1,000 women aged 15-19 years, second only to sub-Saharan Africa. Furthermore, 30 percent of Latin American teenage girls do not have access to the contraceptive care services they need, according to UNFPA. Sexual and reproductive health face especially high barriers in this region because of patriarchal,culture, the weight of conservative sectors and the dominance of the Roman Catholic Church. In contrast, the region has a good record on education. Over 90 percent of its countries have policies to promote equal access by teenagers to education. Ninety percent of teenage girls have finished their primary school education, although only 78 percent go on to secondary school, according to UNFPA. The greatest educational access barriers are faced by rural and indigenous teenage girls, who have difficulties for physical access to some education centres. In the case of indigenous and Afro-descendant girls, this is added to inappropriate curricula or the absence of educational materials in their native languages (mother tongues). In her view, the school curriculum plays an essential role. Including contents and materials “related to human rights and the rights of women and girls, non-violent conflict resolution, co-responsibility and basic education about sexual and reproductive health,” will potentiate more non-violent societies, inside and outside of the classroom, she said. Carvalho quoted a 2015 study carried out in 13 Latin American countries by UN Women and the United Nations Children’s Fund (UNICEF), which concluded that education systems are failing to prevent violence against girls. “This is something that must be improved, because it is in the first few years of early childhood that egalitarian role modelling between girls and boys can occur and lay the foundations of the prevention of violence, discrimination, and inequality in all its forms,” she emphasised. If girls are given “equal access to education, health care, sexual and reproductive education, decent jobs, and representation in political and economic decision-making processes, sustainable economies would be promoted and societies, and humanity as a whole, would benefit,” she concluded. Edited by Verónica Firme. Translated by Valerie Dee.